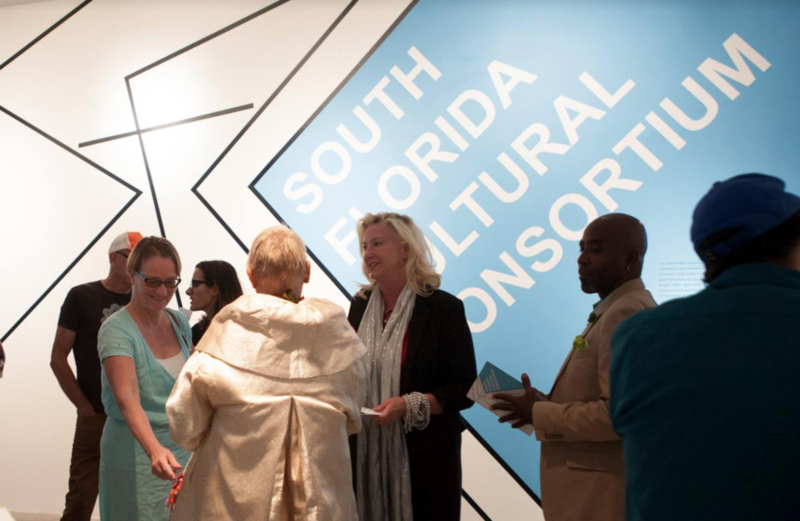 The South Florida Cultural Consortium (SFCC) identifies, supports, and celebrates our regional artists, promoting the appreciation and production of the arts in South Florida. In the United States, the SFCC is the largest government-sponsored grant program for artists living in the counties of Broward, Martin, Miami-Dade, Monroe, and Palm Beach. Each year, hundreds of artists apply and this exhibition showcases the winners of this prestigious prize for the years 2014 and 2016. Celebrating the breadth of artistic production from South Florida, this exhibition presents the work of 25 individuals, who collectively embody the diverse culture of our region. Several of these artists engage with strategies of conceptual art, addressing themes about contemporary experiences such as technology and the internet, notions of migration, local and mainstream cultures, or ideas of representation. Other artists make use of traditional techniques, such as painting, drawing and sculpture, providing exquisite forms, colors and shapes in abstract compositions. Ranging from a diverse media, their works present creative voices conscious of the complex dynamics of today’s culture, as well as the desire to keep pushing the possibilities of human perception. Supporting artistic creation in a pivotal moment of an artist’s career, this exhibition celebrates the innovation and potential of these South Florida artists to continue their paths as expressive leaders of their generation. The SFCC Exhibition includes the work of artists listed below listed by the year they received the award. Bhakti Baxter, Vanessa Diaz, Edouard Duval-Carrié, Christy Gast, Richard LaBarbera, Alma Leiva, Lucas Leyva, Anja Marais, Jillian Mayer, Jon McIntosh, Ben Morey, Mumbi O’Brien and Odalis Valdivieso. Anthony Anaya, Kevin Arrow, Madeleine Denaro, Cara Despain, TD Gillispie, Deborah Goldman, Marlon Johnson, Natalya Laskis, Pepe Mar, Charo Oquet, Sri Prabha and Kenny Riches. Signs of Life (Official Video) by Arcade Fire on VEVO. View Reception Photos by clicking above photo. The South Florida Consortium is funded in part with support from The National Endowment of the Arts, The Florida Department of State, Division of Cultural Affairs and the Florida Arts Council, the Boards of County Commissioners of Broward, Miami-Dade, Martin and Monroe Counties, and the Palm Beach County Cultural Council. The exhibition is curated by María Elena Ortiz, PAMM Associate Curator, with Deborah Lehman di Capua, Assistant Curator. In the front courtyard of the Museum of Contemporary Art North Miami is a fountain pool, where two ceramic coffins are floating. It’s an installation from Broward-based Anthony Anaya, who was inspired to make this work by Hurricane Katrina, when coffins were shown unearthed and drifting away after cemeteries were flooded.